*Now reissued and extended with Peel Session recordings and the band's first show, recorded at King Tut's Wah Wah Hut in 1996* Dating back to 1996, The Week Never Starts was the first album by Arab Strap, the Glaswegian band founded by Aidan Moffat and Malcolm Middleton, both of whom have since gone onto successful solo careers. 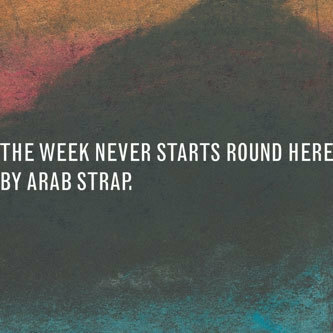 The centrepiece of this album is the single, 'The First Big Weekend', which perhaps best sums up what made Arab Strap so startling back in the era of Brit-pop. A tale of fairly sordid, kitchen sink hedonism, the song's live-kit four-to-the-floor beats (with a touch of extra added primitive drum machine usage) makes for a kind of grotty counterpart to Blur's 'Girls And Boys'.